FAIR: The ad or statement is generally accurate and fairly and credibly presents the speaker’s position on the issue at hand. 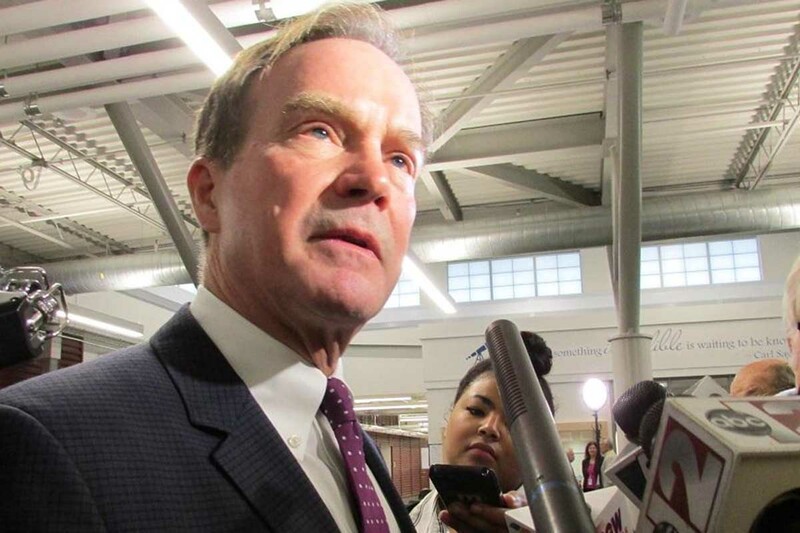 Michigan Attorney General Bill Schuette is coming under fire from a Super PAC on claims he’s too focused on running for his Republican campaign for governor to protect residents of Kent County from hazardous chemicals in their water. Truth Squad rates the claims from Southfield-based For Our Future Michigan foul, because it takes a legitimate issue – PFAS contamination in Michigan waters – and scurrilously blames Schuette. The digital ad was released in August and features a couple from the Plainfield area of Kent County discussing their community’s exposure to PFAS chemicals that leached into the water from Wolverine Worldwide, a Rockford-based footwear company. “Our attorney general for the state is too busy running for governor and hiding from Flint,” the woman’s husband says in the ad. PFAS contamination — in Kent County and statewide — is a serious issue, and it has prompted debate about whether Michigan could have acted more quickly and aggressively to address it. But the Attorney General’s Office isn’t the first line of government oversight on environmental remediation, and the ad doesn’t support its claim that once the PFAS dangers became apparent that Schuette dropped the ball. The ad omits the fact that Schuette’s office sued Wolverine Worldwide in January, in an effort to hold the company accountable for contamination and cleanup costs. By law, the attorney general must sue on behalf of the state any time the governor asks, according to Snyder’s office. Anna Heaton, a Snyder spokeswoman, said Schuette’s office is preparing the lawsuit but has yet to file it. Pugh instead credited the action against Wolverine to “two attorneys in his office who are statutorily required” to file the suit. The argument ignores how environmental law works — as well as the suit’s timing, which came one day after the Michigan Department of Environmental Quality established a legal threshold for requiring cleanups of PFAS. Taking Wolverine to court without that cleanup criteria would make little sense. No doubt, Schuette’s handling of the Flint water crisis has prompted criticism – that he’s been too aggressive and overly political in prosecuting top state officials for the tragedy. Schuette has dismissed the criticisms, saying he’s “doing my job” in seeking justice for a “serious matter” that may have caused a dozen deaths from Legionnaires disease. Pugh questioned why Schuette didn’t prosecute former DEQ director Dan Wyant. Still, the suggestion that Schuette is “running from Flint” makes little sense. Some Truth Squad calls are difficult. This isn’t one of them. For Our Future presents no evidence Schuette is responsible for PFAS or “nowhere to be found” for victims. The claims rate a call of foul. Who would gave guessed it. A media complicit with the lies?!?! Happens every day the left does it. Sturg, did you read the Truth Squad? This is the media, in this case Truth Squad, EXPOSING campaign misstatements. Too bad this happened. There are so many good reasons to vote against BS that there is no need to invent any. Not telling the whole truth on the EPA laws>>>>>EPA has issued a health advisory for PFOA and PFOS. Health advisories describe non-regulatory concentrations of drinking water contaminants at or below which adverse health effects are not anticipated to occur over specific exposure durations.